The cold weather is hard on your car - but it is even harder on your oil. What do you think about when you consider winterizing your vehicle? Putting on your winter tires? Getting a brand new brand of -40C windshield washer fluid? New brakes? What about your oil? Did you know that the cold weather affects the viscosity of your oil, meaning for many people, they have to change their oil more often during the colder months. What is your all-weather oil? Whether or not you need to switch oil types is largely dependent on what type of oil you use throughout the year. For example, if you use 20W-50 oil all year round, you may want to consider switching to the more viscous 5W-30 between November and March. Be careful - switching to something TOO thin may not provide enough lubricant to your engine. The best place to look? Your handy owners manual. What is your vehicle telling you? Do you have automatic reminders on your dash? you may notice that during the winter months your reminder for oil changes come more frequently. Don't worry, your vehicle isn't broken - and the sensors are more than likely working just fine. Your sensor is picking up on the thickness of the oil preventing it from moving freely within the engines moving parts. Why does the cold weather affect my vehicle? The two main reasons the cold affects your engine oil are condensation and your car not spending enough time at the proper running temperature. So although it's frowned upon from an environmental perspective - it may not be such a bad idea for the life of your vehicle. So, how often should you change your oil in the winter? 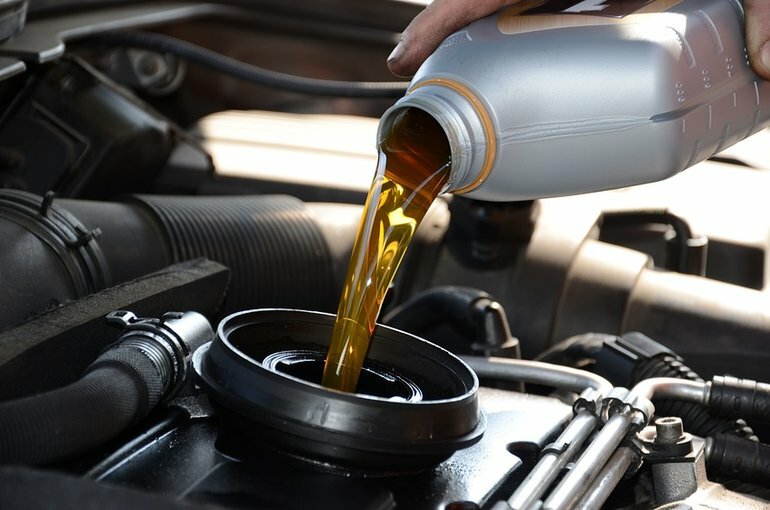 That depends largely on how often your vehicle requires oil changes in the summer months, and whether or not you use conventional or synthetic oil. however, every 5,000 - 7,000 kms would not be overkill - and is a fairly low cost way to maintain your vehicle in optimal running condition.